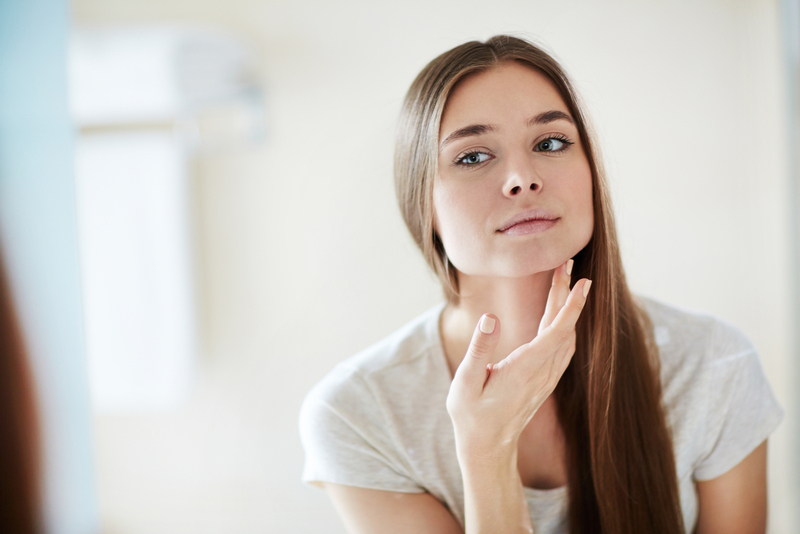 There has been a lot of chatter about 10-step skin care regimens, and while that sounds like a lovely treat, it isn’t realistic for most people. However, most of us don’t want to fall into bed with a full face of makeup either. Here is a realistic three-step regimen that would work for most skin types as long as you choose the proper products. Cleanse – For an easy cleansing step, try a lightly foaming but gentle cleanser such as Philosophy Purity Made Simple. This works great to cleanse the skin and remove all of your makeup except possibly the most stubborn of waterproof formulas. The Purity foams lightly when water is added, but it is not what I would call a foaming cleanser. It works surprisingly well on almost all skin types. Treat – This is the most individualized step, based on what concerns you’re trying to address. Typically treatments are lighter weight and would be applied under the moisturizer for maximum efficacy. Moisturize – For the most part, you can use your facial moisturizer as your eye cream, if you are looking to simplify. In all reality, if you’re worried about putting a certain ingredient too close to the delicate eye area, should you really be putting it on your face at all? One of the best overall moisturizers that works perfectly for the facial skin and eye area is Paula’s Choice Moisture Boost Hydrating Treatment Cream. This is a good basic nightly routine. It obviously omits one key skincare step: Exfoliation. Depending on your choice of exfoliators, this can certainly be added into the nightly routine or can be completed as frequently as instructed. If it’s a granular scrub, sometimes the morning shower can make rinsing much easier. This entry was posted in Skin Care and tagged Beauty Frizz, BeautyFrizz, care, Cleanse, easy skin care, Exfoliation, Face, makeup, makeup removal, minimalist skin care, Moisturize, quick skin care, rinse, skin, skin care, skin health, skin type, skincare, treat, water.